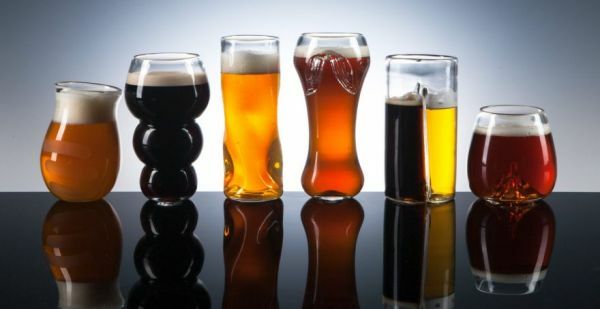 If you’ve got some money to burn on beer glasses, I’m quite taken with this set from The Pretentious Beer Glass Company. They are handmade blown glasses, each with a different purpose. According to the site, the set includes a Hoppy Beer Glass, an Aromatic Beer Glass, a Malty Beer Glass, a Subtle Beer Glass, a “traditional” Ale Glass and a Dual Glass. Each glass holds approximately 12 oz of beer with a 2-3 oz. head. A great (but pricey) gift for the snobby beer aficionado in your life.